The Stamina Versa-Bell II 50 lb. dumbbell is nine dumbbells in one. 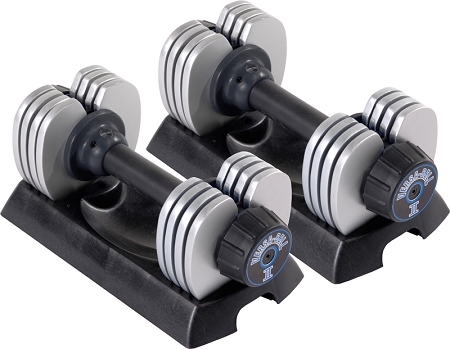 This innovative 10 to 50 pound adjustable dumbbell replaces nine individual dumbbells, but is the size of one so you save space and money without sacrificing quality. It's the perfect way to add dumbbells to your home workout area. Just set the dial to your weight of choice. The dial mechanism makes changing weight fast and easy for uninterrupted workouts. As you dial, the weight minder shows the weight you've chosen. Add the Stamina SPS Versa-Bell Dumbbell Stand (sold separately) to hold a pair of 50 lb. Versa-Bell II dumbbells. With a footprint of just 23 inches x 19.75 inches, it fits easily into most home workout areas. Recommended use: Use at home or in workout areas with limited space. 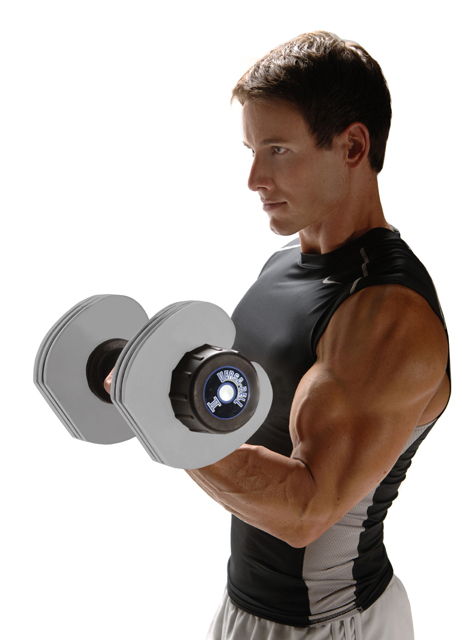 Replaces nine individual dumbbells. Copyright Fitness Market. All Rights Reserved. eCommerce Software by 3dcart. Personal Training Studios, Sports Performance Facilities, Police and Fire Fitness Rooms, Orthopedic Rehab, Medical, Cardiac Rehab, and Hospital Fitness Facilities, Schools, High Schools, Colleges, and Universities, Specialty Training and Tactical Fitness Training, High Intensity Interval Training (HIIT Training), CrossFit Training Equipment, Amateur Sports Teams and Professional Sports Teams.